Just Listed :: Amazing View in Vinings Overlook! Welcome home! 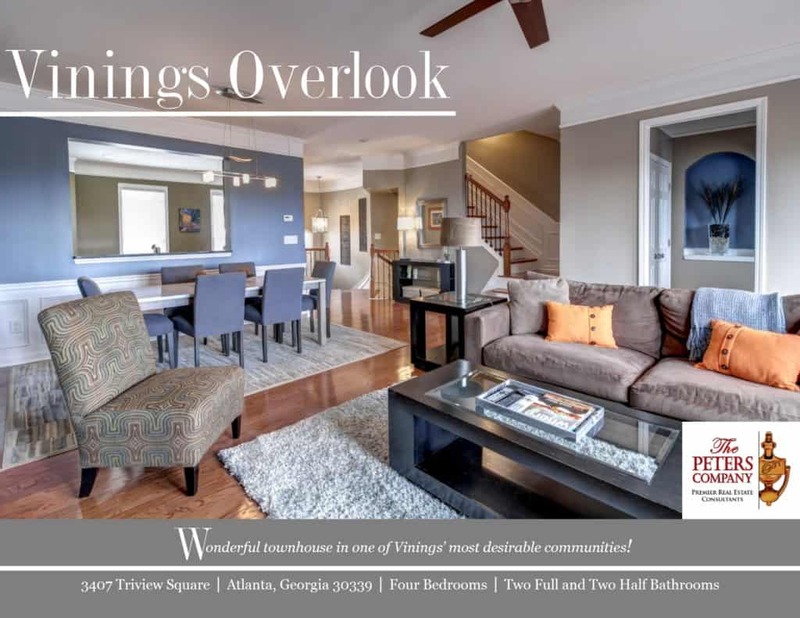 Vinings Overlook is a wonderful townhome community in the incredibly popular Vinings area. The open floor plan, custom features, and charming character of this home will never go out of style. The close proximity to I-75 and I-285 makes virtually all commutes a breeze. You’ll also have easy access to the other highways, byways, and activities that make this location such a well-loved destination. You will certainly enjoy being so close to the wonderful restaurants and shopping spots in nearby Vinings Jubilee and historic Vinings Village! Kitchen features granite counters, stainless steel appliances, tile backsplash, walk-in pantry, and island with breakfast bar. Separate dining area is perfect for entertaining. Hardwood floors, tall ceilings, and an upgraded trim package are carried throughout the main level. Living room has gas fireplace and tons of natural sunlight. Master suite is a true retreat including a trey ceiling and large walk-in closet. Master bath has dual granite vanities, jetted tub, and separate shower. Two additional bedrooms on the second floor are well-sized and bright. The finished lower level includes a bedroom, half bathroom, and laundry room which opens to a spacious patio. The garage easily fits two vehicles with ample space for storage. A large deck with a stunning panoramic view is ideal for outdoor enjoyment and entertaining. ← Just Listed :: Gorgeous Traditional in East Cobb's Sentinel Lake!